In 2014 I created a pair of Snowy owls, "Bubo & Snow 2014 after Edward Lear 1832" for an exhibition which represented new approaches to textiles in art, at Mobilia Gallery in Cambridge, Boston USA. 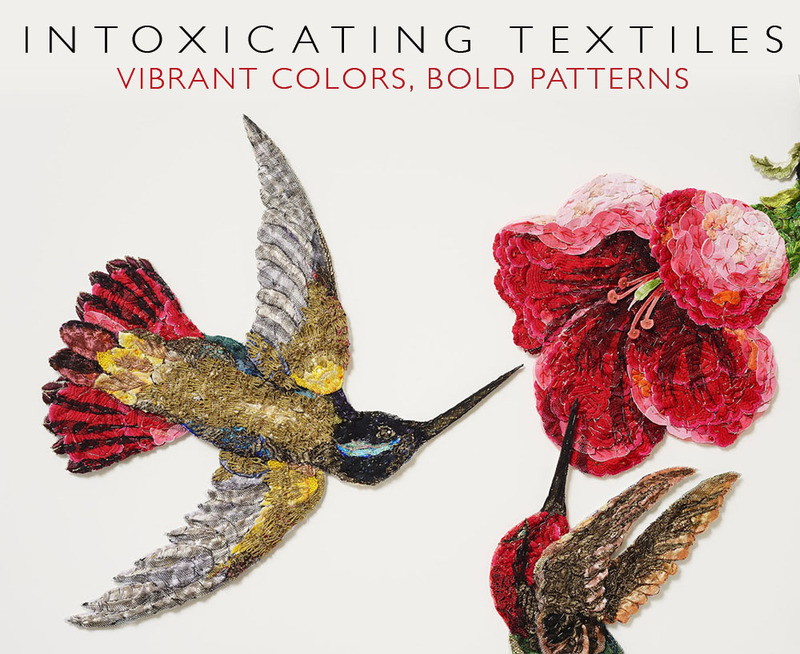 This year "Lucy & John 2014" (the Audubon silhouettes) travelled to Boston for a Directors choice exhibition, "Superlatives" at Mobilia, and I was also invited to submit a work for a another group exhibition, "Intoxicating Textiles" in June 2016. 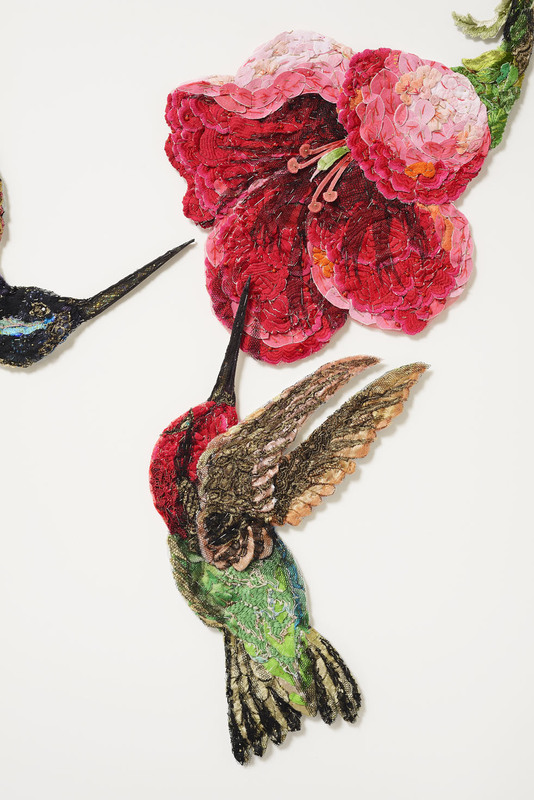 The work, titled "Sky Jewels 2016 after John James Audubon 1833", reinterprets three of Audubon's hummingbird paintings from the 1830's. 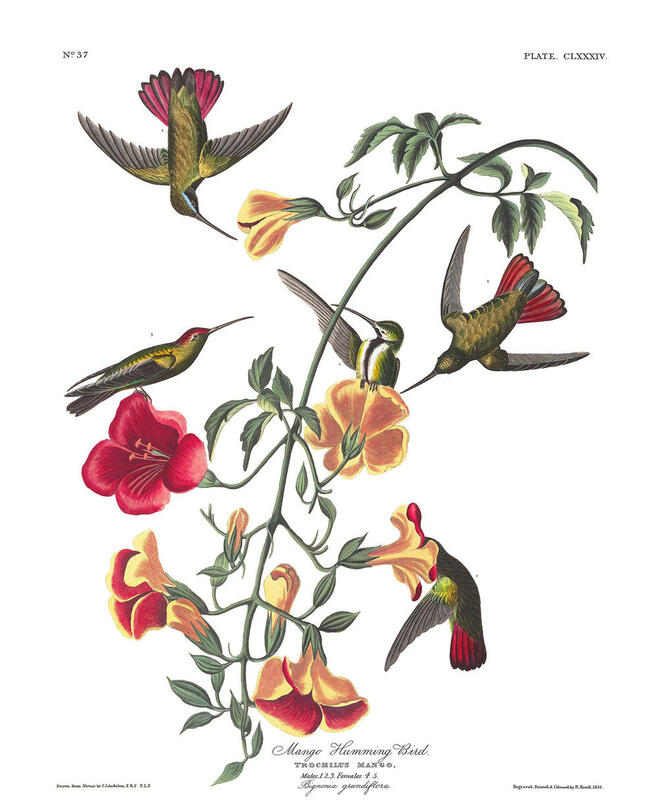 The title directly references Audubon's saying that "hummingbirds are jewels of the sky". Photos below show development of two of the hummingbirds and the final arrangement - photo by Gavin Hansford. Also exhibition banner is designed by Mobilia Gallery.